The Olivia on Main just got cooler. Keystone Realty Group wants Olivia on Main residents to experience true modern living. 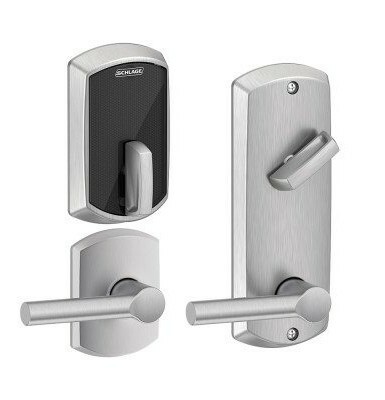 So when Smart Interconnected Locks were released by Schlage Control in May, we had to be one of the first to have them in Carmel and the greater Indianapolis area. You might be wondering why a smart lock makes such a difference to a community. For us, it all comes down to safety and convenience for Olivia on Main residents. For example, the smart lock can be controlled remotely by other devices, like a smart phone or tablet. Residents can also access the lock through a keypad on the door with a 4-digit code. With cloud technology managing the lock, real keys are unnecessary. On the safety side, smart locks are more secure than traditional locks. Their no-cylinder design makes them 100% pick and bump proof. They can even withstand the force of a sledgehammer. “We are building this 5-story community with our residents in mind,” Olivia on Main Property Manager Allison Pfefferkorn said. “Smart locks are just another rare amenity that makes the Olivia on Main one of the most cutting-edge communities in Carmel. To learn more about Keystone Realty Group’s newest development in Carmel, head over to The Olivia on Main website.